Lewis & Clark expedition reached the Pacific Ocean in 1805, they were the first European Americans to cross the western part of what is now known as United States of America. US President Abraham Lincoln delivered his famous Gettysburg address in 1863. Operation Uranus: Soviet offensive began during the Battle of Stalingrad in 1942. In 1969, Apollo 12 mission’s astronauts Charles Conrad & Alan Bean become the 3rd & 4th humans to walk on the Moon. US President Ronald Reagan and Soviet leader Mikhail Gorbachev met for first time in 1985. According to WaterAid‘s report, India has highest number of people without basic sanitation. Indian and Japanese Space agencies to partner for a joint Lunar mission. PM Narendra Modi to inaugurate the eighth edition of the Global Entrepreneurship Summit in Hyderabad. India’s Manushi Chillar has won the Miss World Beauty pageant 2017. Queen Elizabeth II and Prince Philip to celebrate 70th Wedding Anniversary. Sarah Clarke is appointed as the first female black rod in 650 years. HFCL gets Rs. 128 crore order from BSNL. Larsen & Toubro won a $ 1.3 billion contract to construct the Mumbai Trans Harbour Link. Bengaluru FC beat Mumbai City 2-0 in the Indian Super League. Tennis legend Pancho Segura passed away at the age of 96. According to WaterAid’s report, India has highest number of people without basic sanitation. The world’s second-largest population has the highest number of people without basic sanitation, according to a report by WaterAid. More than 732 million people still suffer fear and indignity of relieving themselves in the open or in unsafe or unhygienic toilets. “In India, 355 million women and girls do not have access to a toilet. WaterAid’s State of the World’s Toilets 2017 report says if people without access to toilets in India stood in a queue, it would stretch around the Earth more than four times!. India also ranks in the top ten for reducing open defecation and improving access to basic sanitation. China is in the second place with 343 million people without toilets. Africa’s most populous country, Nigeria, is in the third place. 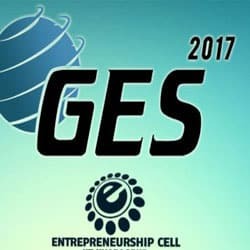 Prime Minister Narendra Modi will inaugurate the 8th edition of the annual Global Entrepreneurship Summit on 28th of November. Niti Aayog CEO Amitabh Kant said, The summit will focus on four key sectors of the economy—energy and infrastructure, digital economy and financial technology, health and life sciences and media and entertainment. The US delegation will be led by Ivanka Trump, advisor to US President Donald Trump. 1,500 individuals have been selected to participate in the event including 300 investors. More than ten countries including delegations from Afghanistan, Saudi Arabia and Israel will be represented by all women delegation. Manushi Chhillar won the Miss World beauty pageant 2017. India got the title after 17 years. Priyanka Chopra won the title previously in the year 2000. Andrea Meza, Miss Mexico was the first runner up and Stephanie Hill from England was second runner up. Ms Chhillar is a 20-year-old from Haryana, who studied in St. Thomas School in New Delhi and Bhagat Phool Singh Government Medical College for Women in Sonepat. She is the sixth Indian woman to win the title. Reita Faria was the first Indian woman to win the title in 1966, followed by Aishwarya Rai Bachchan in 1994, Diana Haydon in 1997, Yukta Mookhey in 1999 and Priyanka Chopra in 2000. India and Japan are discussing on a partnership for providing inputs on weather-monitoring parameters and on a joint lunar mission. ISRO chairman AS Kiran Kumar, announced at the Asia Pacific Regional Space Agency Forum 24 conference that ISRO is looking at a possible joint lunar mission and generating inputs for climate change studies. All space agencies is looking to make access to space cheaper for many activities including power generation. Hence, almost all agencies are working towards making the cost of access to space cheaper and cheaper. Recently, China has announced to cut down prices of launching payloads to $5,000 a kg. Queen Elizabeth II and Prince Philip will celebrate their 70 years of marriage on Monday. They are Britain’s first reigning couple to mark a platinum wedding anniversary. The royal couple has invited family and friends to Windsor Castle for a private dinner. The bells of Westminster Abbey, where Elizabeth married the Duke of Edinburgh on November 20, 1947, will ring out in full celebratory peal. Also, in honor of the occasion, Buckingham Palace on Saturday issued new photographic portraits of the Queen and the Prince, taken earlier this month in the White Drawing Room at Windsor Castle. Sarah Clarke was appointed as the first female black rod in 650 years. For the first time in 650 years, Sarah Clarke has been appointed by the Queen as the Black Rod. She will be known as The Lady Usher of the Black Rod when she starts her job next year. Sarah Clarke is currently in charge of organizing the Wimbledon tennis championships. Black Rod is best known for the State Opening of Parliament, knocking on the door of the House of Commons to summon MPs for the Queen’s Speech and organizing ceremonial events. Ms Clarke, previously worked in senior roles at four Olympic Games, the London Marathon and UK Sport. She will replace current Black Rod, David Leakey, who will be retiring later this year. Home-grown telecom manufacturer Himachal Futuristic Communications Ltd(HFCL) won an Rs 128-crore order from Bharat Sanchar NigamLtd. HFCL has received a purchase order worth Rs 128 crore from Bharat Sanchar Nigam Ltd to supply of packet microwave radio systems on pan-India basis for BSNL mobile network. The company said the equipment purchase order is part of a turnkey project and the balance order for installation and AMC support services will be issued separately by BSNL. India’s top engineering and construction company Larsen & Toubro Ltd has won a contract to build a $1.3 billion Mumbai Trans Harbour Link. The project involves constructing a 21.8 km bridge connecting Mumbai mainland with Navi Mumbai. Larsen & Toubro reported a consolidated net profit of 18.2 billion rupees ($279.31 million) in the three months ended Sept. 30, up from 14.35 billion rupees a year earlier. 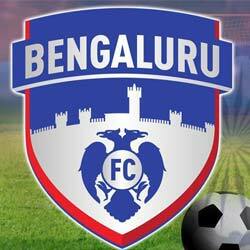 Bengaluru FC defeated Mumbai City FC 2-0 in their debut match in the Indian Super League. Spaniard Eduardo Martin Garcia scored in the 67th minute off a set-piece movement while captain Chhetri scored on a defensive blunder from Mehrajuddin Wadoo in the third minute of stoppage time. FC Goa defeated Chennaiyin FC 3-2 to open its account at the Jawaharlal Nehru Stadium. After Ferran Corominas scored the first goal of this year’s ISL in the 25th minute, Goa added two more in the space of 14 minutes to dominate the first half. The Gaurs, coached by Sergio Lobera Rodriguez, held off a spirited rally by Chennaiyin in the second half. Pancho Segura, who rose from poverty to become one of the world’s greatest tennis players of the 1950s, has died in Southern California. He died from complications of Parkinson’s disease at his home in the Omni La Costa Resort & Spa in Carlsbad. He was 96 years old. Segura is known for his unique two-handed forehand. He went from championship amateur to barnstorming pro and then honored coach, whose students included Jimmy Connors. Segura was born in Ecuador, he suffered from childhood rickets that bowed his legs.